WHAT DETERMINES HOW WELL TROUT FIGHT? I recently read an excellent article by Tim Angeli in NZ Fish & Game magazine entitled “Do Big Fish fight”(Issue 90 Page 24-30). It really got me thinking and is definitely worth checking out. The wide ranging article discussed the fight provided by big fish, whether the fight from rainbow trout is typically more energetic than brown trout, whether the specific environment where a trophy trout is hooked is a factor, the impact of “mouse” years on trout growth and how it seemed that big fish perhaps fought more strongly once they have converted mouse protein into muscle. The piece left me wondering whether there was a scientific explanation for the variation in fight behaviour, something that could predict in advance what sort of fight a trophy trout was going to put up. So I set out to discover what research had been conducted and whether there were any relevant conclusions. I expected that there may not be an explanation because, like all things in nature, there is no definitive unifying link to explain behaviour and it is always seems to rely on the physiology of the individual fish. In short, the fight response from a trophy is always likely to be a point on a continuum between “aggressive” and “placid” and it depends on the fish itself. Frequently trophy trout are also found in rivers with excellent water clarity. This is because the water clarity allows them to see prey approaching from a considerable distance and adjust their large pectoral fins to intercept it without expending more energy than they will derive from the meal. Trophy trout are masters of hydrodynamic lift, or Bernoulli effect, which allows them to be lifted off the bottom with minimal effort. Browns employ their pectoral fins to hold station in fast currents with minimal energy expenditure. They also twist their pectoral fins down at the leading edge to use water pressure to help them sit tightly on the stream bed where the current is least. To offset the energy penalty of foraging in fast current trophy trout prefer large food items. Diet studies have shown that trophy fish prefer larger prey items, typically up to 30 millimetres, which coincidentally are much easier to spot in the water. Mouse years skew the picture somewhat as I suspect that all of the trout zone in on mice as a food source as they are bountiful, easy to capture and represent such a massive protein load per item compared to individual insects or small fish. The fish with lower metabolic rates will probably continue to habitually feed on mice after dark whereas those with higher rates will likely target any mice crossing the water, irrespective of the time of day. It would be interesting to compare notes to see whether trophy fish caught after dark gave a more dour fighting exhibition than those caught during the day. My feeling is that under normal circumstances the variation in the fight of trophy trout may in fact be linked to metabolic rate. Those fish with low metabolic rates may initially fight less determinedly that those with a higher rate. The more active fish with higher metabolic rates are typically continuously moving about to secure food items and will probably fight more energetically from the moment they feel the hook. There is another factor to consider in determining how energetic a fish fight is and that is to do with the unique system that they used to transport oxygen in the blood. Trout are teleost fishes and they carry oxygen in their blood using extremely pH sensitive haemoglobin. Trout haemoglobin protein is significantly more sensitive to changes in pH than humans or other animals. Obviously this physiological ability varies from fish to fish and this could be another reason why some fish fight better than others. Those which are most active feeders will probably have the highest oxygen release and may in fact be the trout which take off a high speed as soon as they are hooked. Other fish may not be feeding actively but may very sensitive to blood pH changes. These fish may respond immediately once they feel the hook and activate the inate flight response. Those which are less active may take longer to stress and this could be why it takes them longer to flee at high speed. I’m picking that oxygen release may be inextricably linked to metabolic rate and if it is then it definitely is the individual physiology of the fish which determines the fight. This nicely explains why the anglers mentioned in Tim Angeli’s article struggled to find a common link. 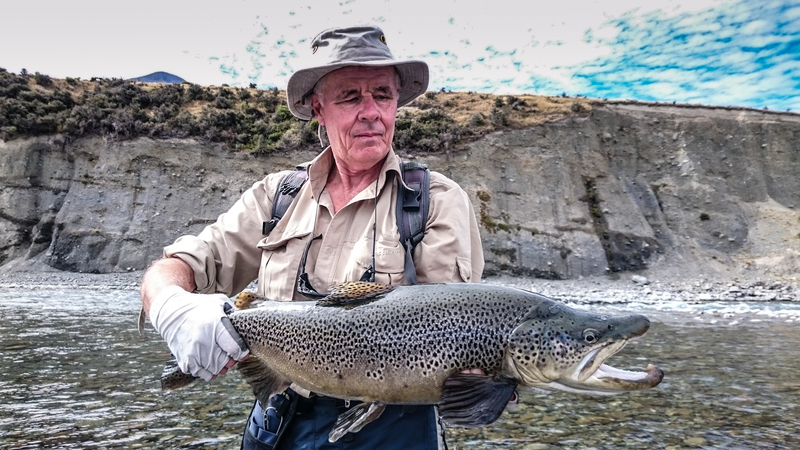 I can still remember hooking a trophy fish in the Tongariro many years ago. It took the fly near the far bank and immediately went deep. For 10 – 15 minutes it just held close to the bottom shaking its head in anger. The rod was bent like a staple as the water pressure on the line was extreme. The leviathan then made a short burst upstream into the current and started to move deliberately towards the ledge I was standing on. What happened next is something I’ll never forget. It turned and headed off down current at an incredible clip. Backing literally evaporated from the whirring spool and before I knew it 100 metres had disappeared and I could see the spool arbour. I had no choice but to clamp down on the spool and hope that it would turn. You can guess the rest and it took an awful long time to reel in all of the line from that searing run. I’m picking this was a fish with a low metabolic rate so it took some time for it to produce enough lactic acid to drop the pH enough for the haemoglobin to kick in and release oxygen. This probably happened just seconds before it set off downstream in a withering burst of sheer power. There is obviously no hard and fast rule as to how a fish is going to fight but I will hazard a guess that those trophy trout which are actively feeding during the day are going to fight aggressively from the outset whereas those that are not less active and hugging the bottom in a sheltered spot will probably not fight so strongly initially. If you can get these less active fish to the net quickly, especially before the blood pH drops, then the fight may not be particularly memorable. However, if you cannot and the fish starts to tire then the oxygen release effect will kick in and the fish will most likely take off like a missile. Be warned! This is a fascinating discussion, no doubt one that is bound to lead to continued debate. 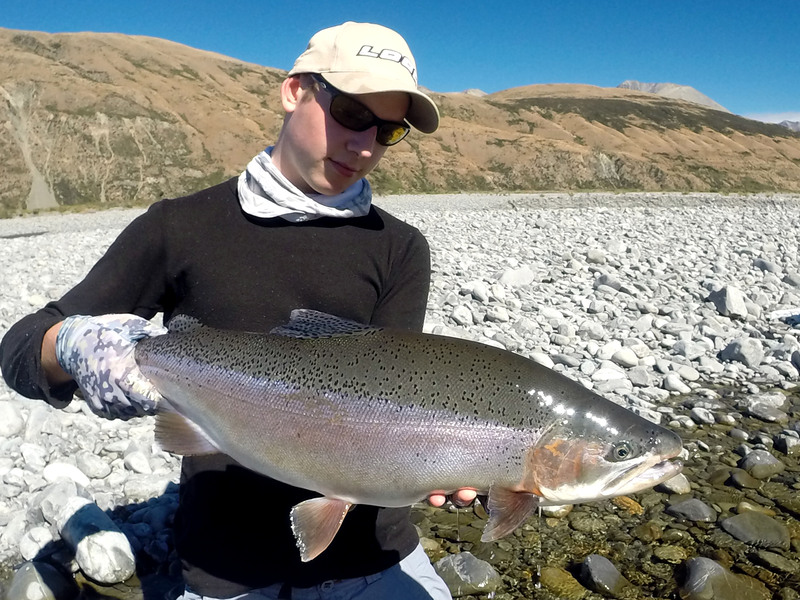 Huge thanks to Matt Jones for sharing some of his stunning trophy trout images with Active Angling NZ. Reblogged this on Stream Therapy. Still new to this, any fight is a challenge to me! I will say evolution could play a part. Fish with fewer natural predators would have less pressure to develop evasive and escape behaviours, probably the larger fish would fall in this category.